Okay, so I know it’s been a while since I’ve updated. I’m sorry! I’ve been a little busy and haven’t had time to put up the goodies I’ve made so far. A week ago my mom had an Italian Night. Everything was Italian and my job was dessert. So, I went for: Tiramisu and Panna Cotta [which will be in the next post :)]. Okay, so they were both really really easy. So first, the tiramisu. 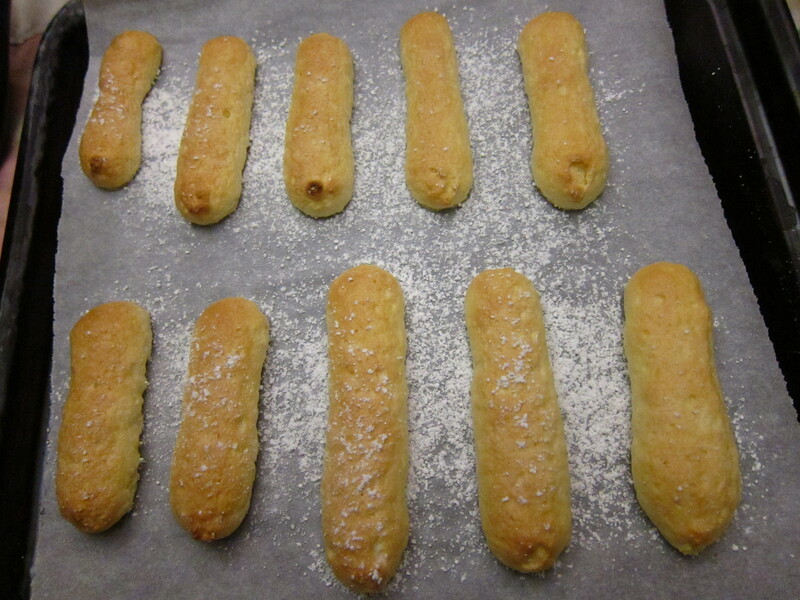 I, of course, had to make the ladyfingers myself. But! There are really yummy ladyfingers at stores that you can buy ready made. 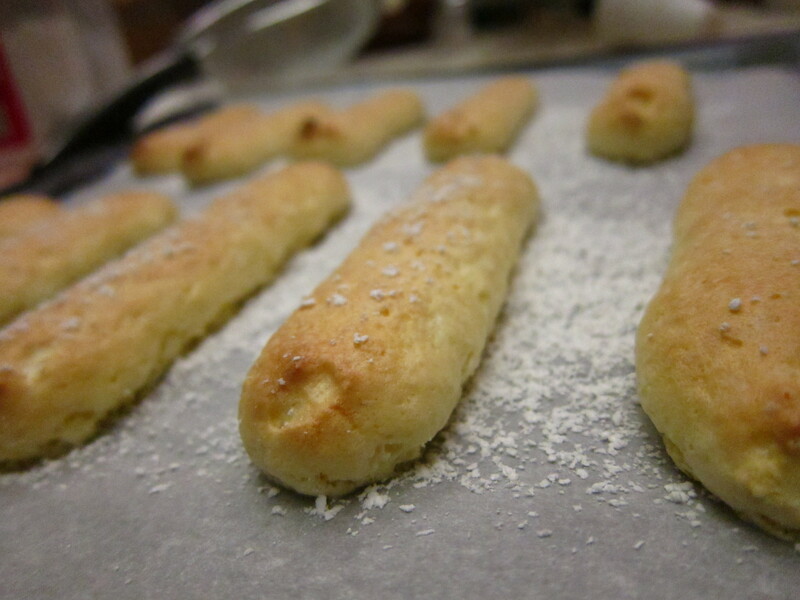 The ladyfinger is a delectable cookie because it is so light and spongy. 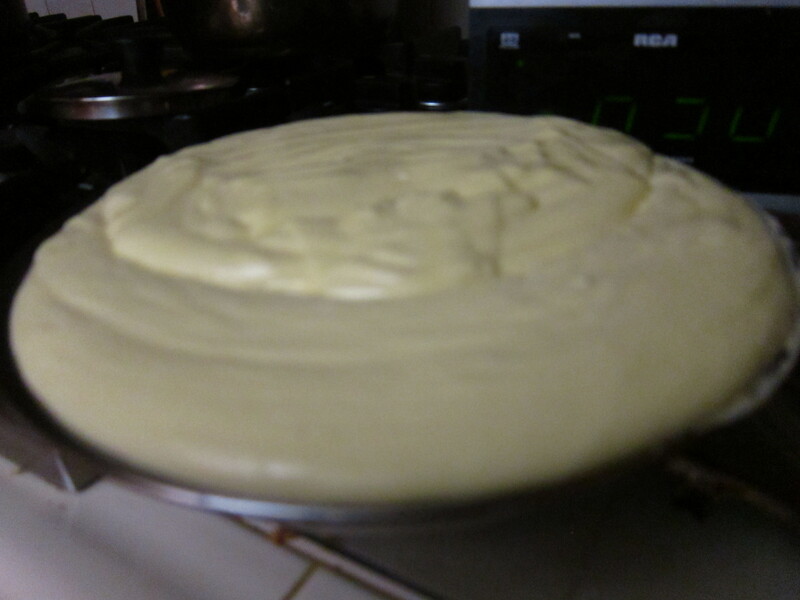 The trick to it is the folding of the batter. It’s important to just lightly fold the dry mixture and not overwork it! 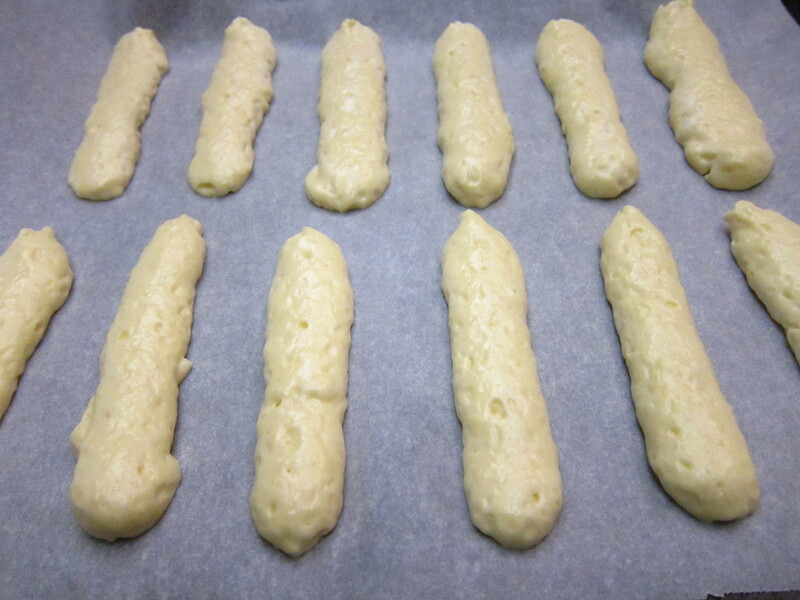 I piped 4 inch long cookies on baking sheets. Then I sprinkled some powdered sugar on them. And then I baked them at 425 degrees for 8 minutes. Okay so now make the mascarpone cheese mixture is next. 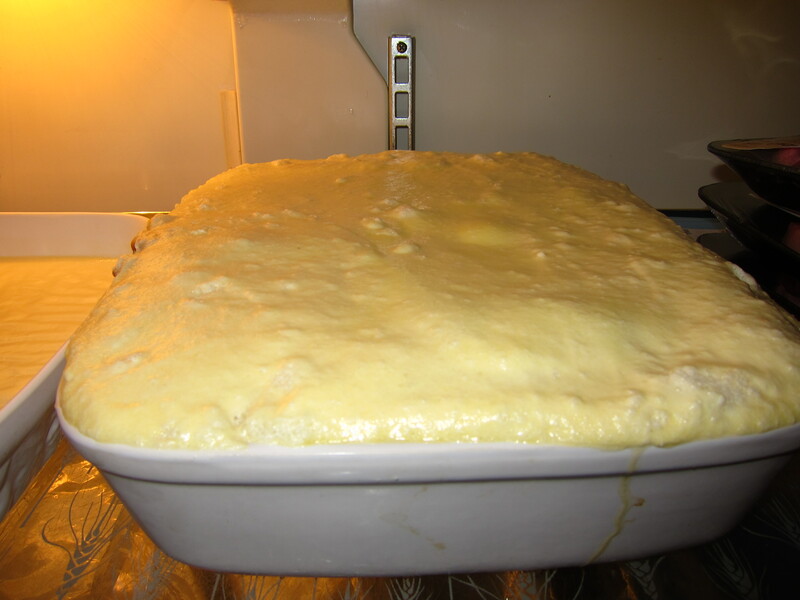 You make it by mixing the delicious cheese with whipped egg whites. 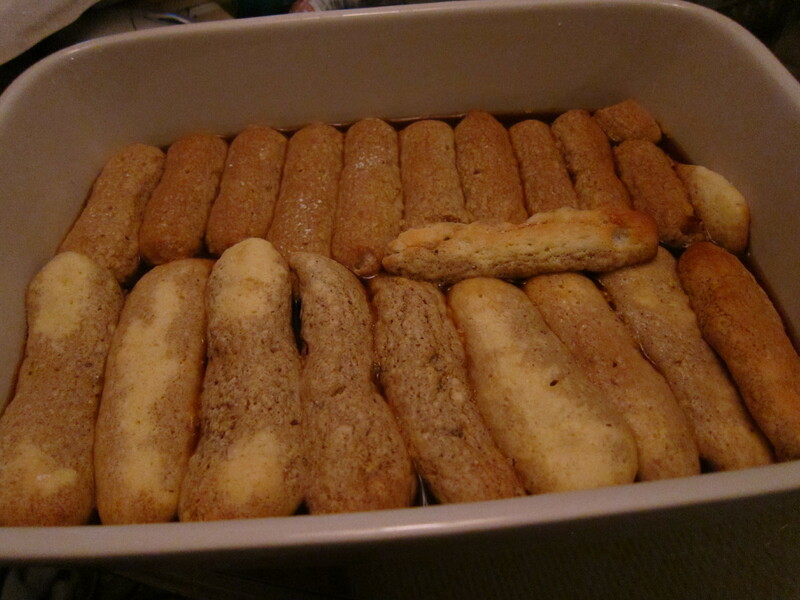 Then put half of the mascarpone cheese mixture on top of the ladyfinger layer. 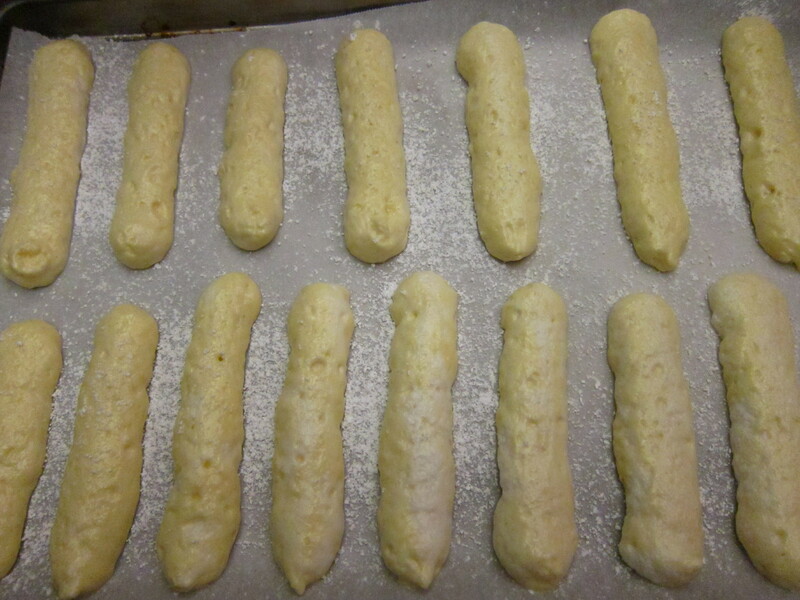 Then put another layer of soaked ladyfingers and the rest of the mascarpone cheese mixture. Then take a hearty bar of dark chocolate and shave shave shave it! The tiramisu tastes a thousands times better if you let it sit for a few hours and let the flavors meld together a bit. I always say it’s best if you make it the night before. 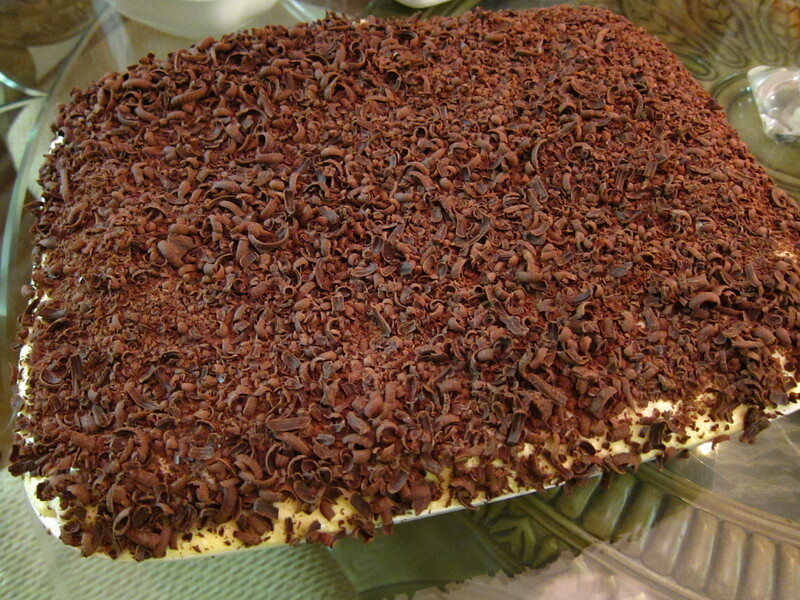 Right before you want to serve it, lovingly sprinkle the shaved chocolate all over your yummy dessert and serve! Pour the marsala and espresso in a bowl and combine. Soak the ladyfingers in the marsala mixture, and line the bottom of a pan. Spoon half of the cream filling over the lady fingers. Repeat ladyfingers, marsala mixture and filling. Garnish with shaved chocolate. Preheat oven to 425 degrees. In a small bowl, sift together flour, cornstarch, and salt; set aside. Line three baking sheets with parchment paper; set aside. 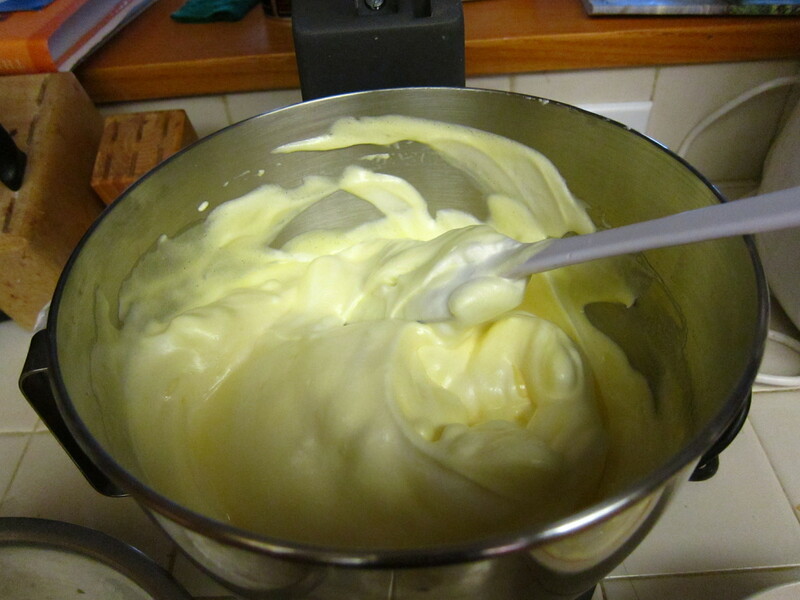 In the bowl of an electric mixer fitted with the whisk attachment, beat egg yolks, 1/4 cup granulated sugar, and the vanilla until light and creamy, about 4 minutes; set aside. In the clean bowl of an electric mixer fitted with a clean whisk attachment, beat egg whites on medium-high speed with 1/4 cup granulated sugar until foamy. Add cream of tartar, and continue to beat until soft peaks form. With machine running, gradually add remaining 1/4 cup granulated sugar, beating into stiff, glossy peaks. 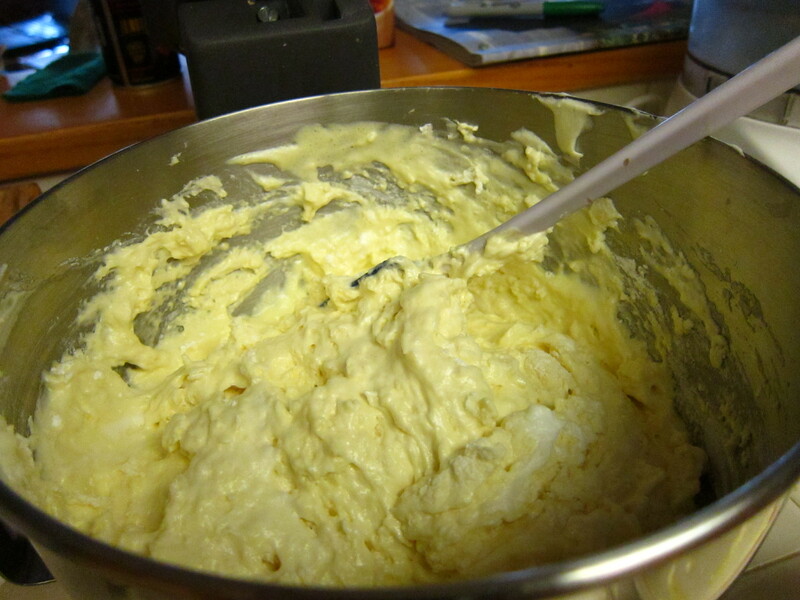 Fold egg-yolk mixture into egg-white mixture, then fold in dry ingredients. Do not overmix. 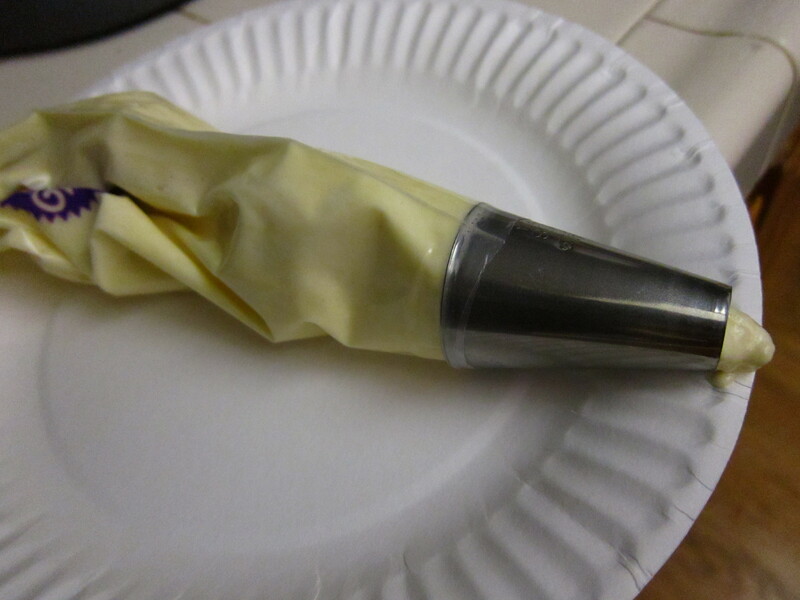 Transfer to a pastry bag fitted with a 1/2-inch round tip. Pipe 4-inch cookies onto prepared baking sheets leaving about 1 inch between cookies. Lightly dust with confectioners’ sugar. Bake until just beginning to brown around the edges, about 8 minutes; rotate pans once after 4 minutes. Transfer to wire racks to cool. Will keep, at room temperature, in an airtight container for up to 2 weeks.